(MENAFN - Muscat Daily) Oman is likely to field teams in six sports at the ANOC World Beach Games, which will be held in San Diego, US from October 9-15. 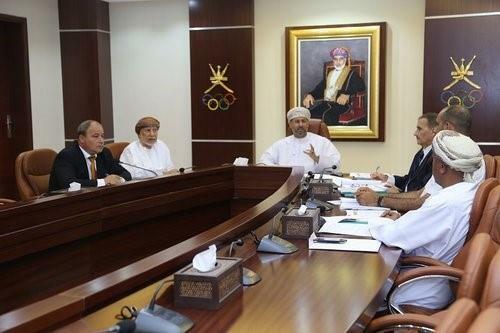 The Planning and Follow-up Committee (PAFC) of the Oman Olympic Committee (OOC) met on Tuesday under Mohsin al Masroori, the PFAC vice-chairman, to discuss Oman's participation at the inaugural edition of the Games, to be organised by the Association of National Olympic Committees (ANOC). It was the seventh PFAC meeting and the members agreed to recommend to the OOC board the participation of Oman teams in six sports – beach soccer, beach volleyball, beach basketball, beach handball, open water swimming and sailing - in San Diego. The six sports have been recommended after the members felt that the Oman teams in these sports have done well over the past year through the continental qualifiers and world championships. The committee also reviewed the preparations for participation in the qualifying championships for the 2020 Olympic Games in Tokyo. The IOC programme of subsidies provided to Omani athletes was also evaluated and the members sought to identify talented athletes to prepare them for the 2024 Olympics.